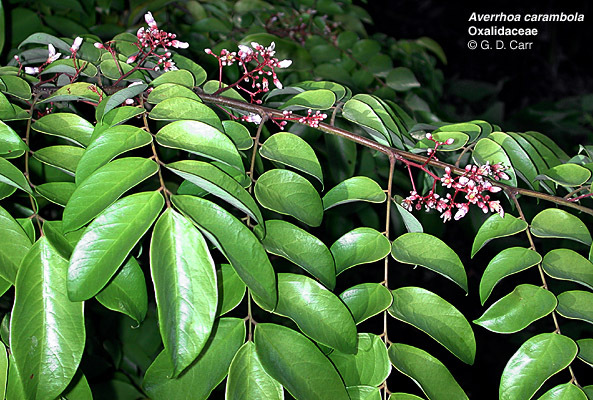 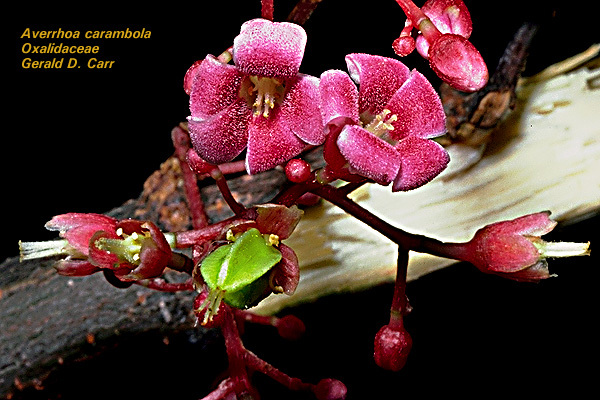 Averrhoa bilimbi, bilimbi. 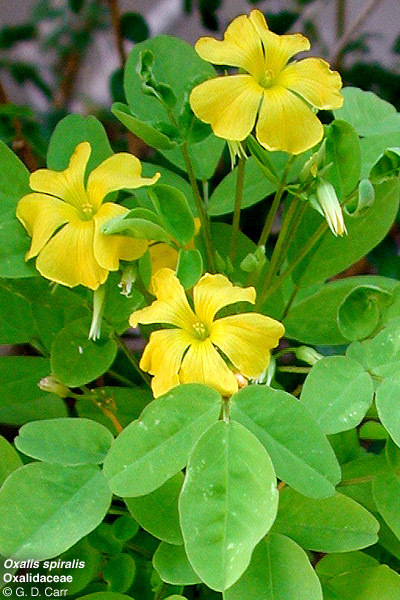 Note obdiplostemony and 5-merous perianth. 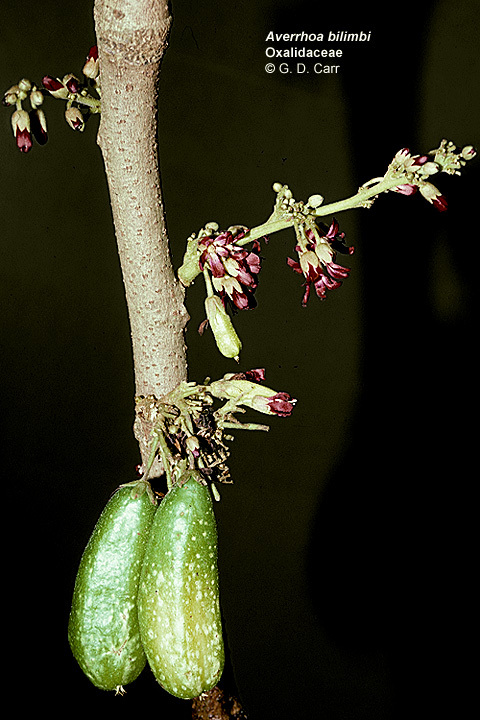 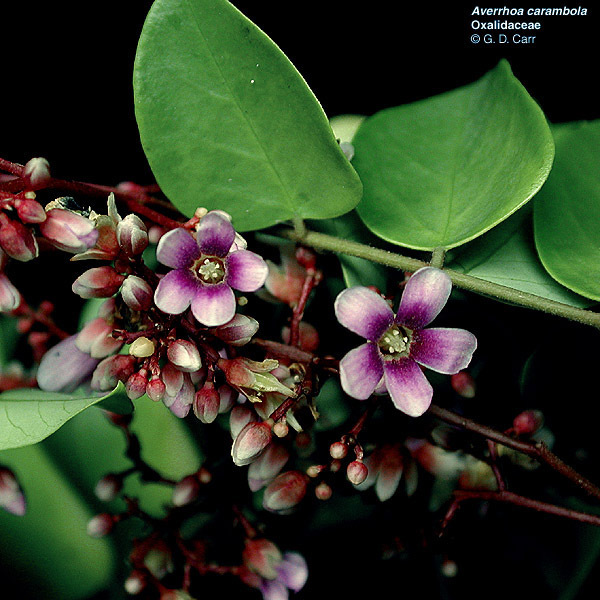 Averrhoa carambola, star fruit, five fingers. 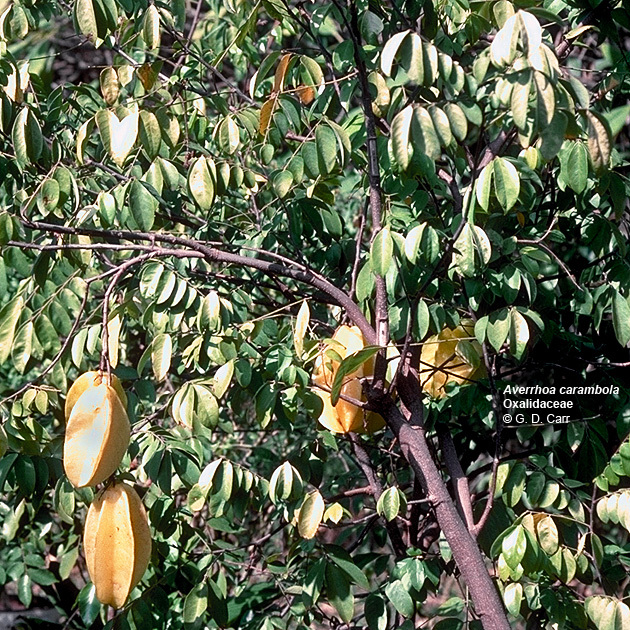 Tree from Malaysia with waxy, juicy, five-angled, fruits that are eaten raw or preserved. 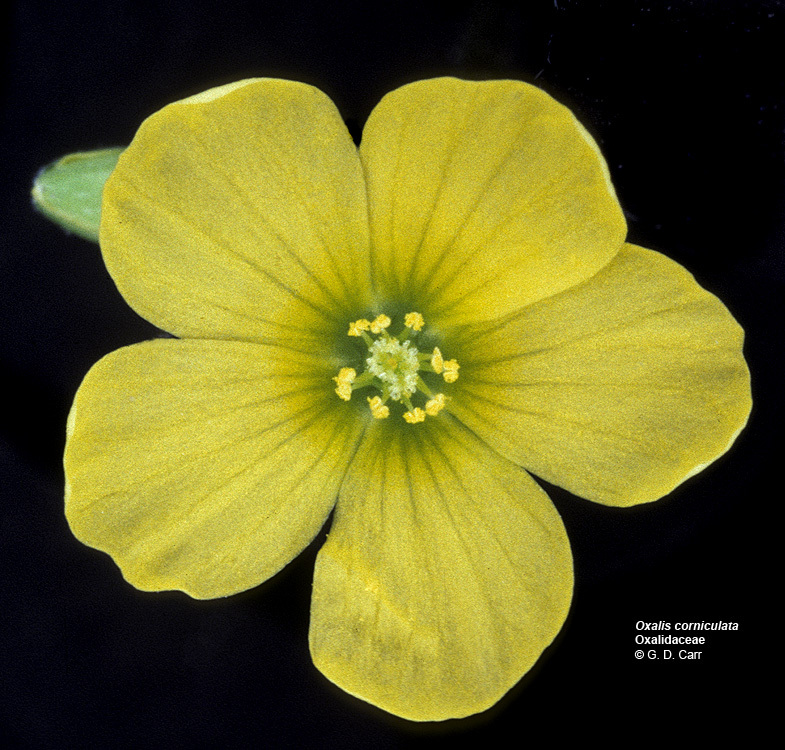 A five lobed ovary with five persistent styles are visible in the lower center of the lower left photo. 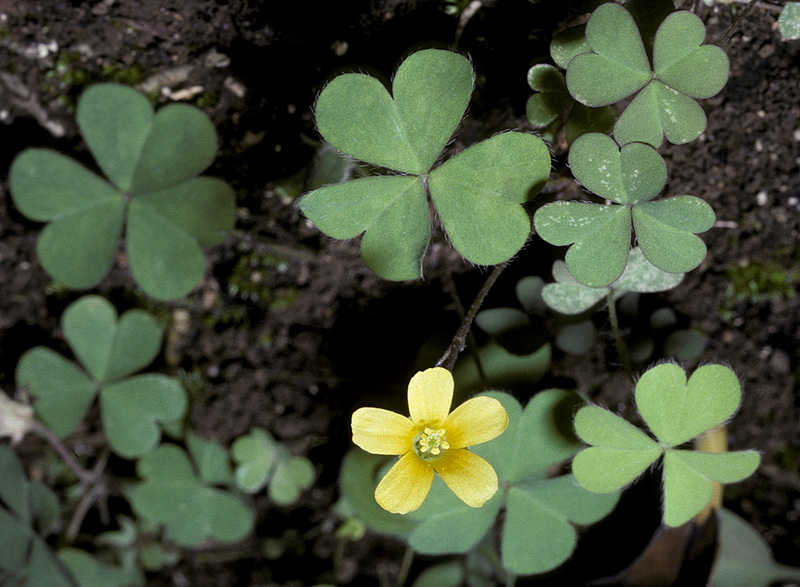 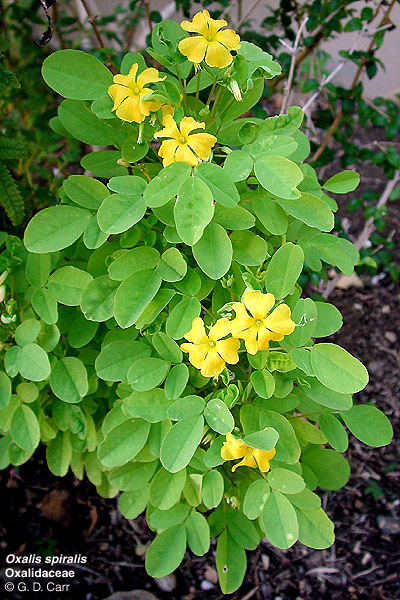 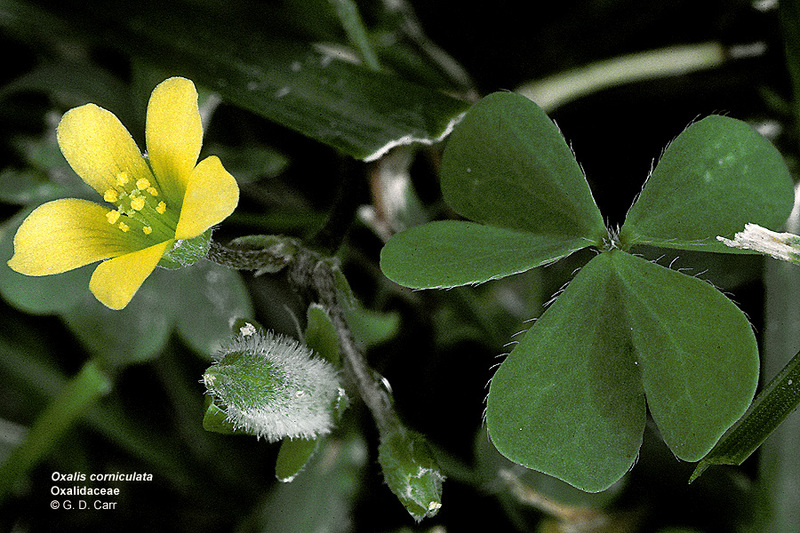 Oxalis corniculata, yellow wood sorrel. 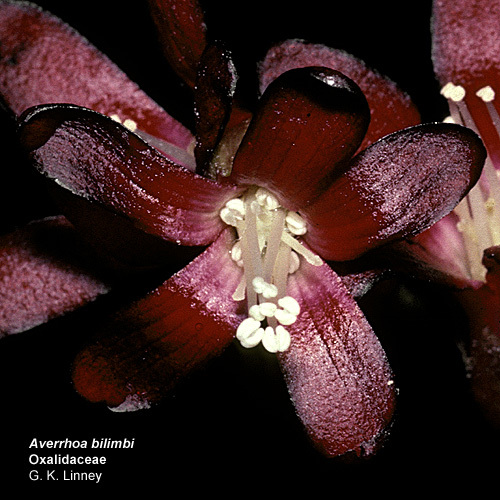 Note palmately compound leaves, 5-merous perianth, obdiplostemonous androecium, and 5 distinct styles. 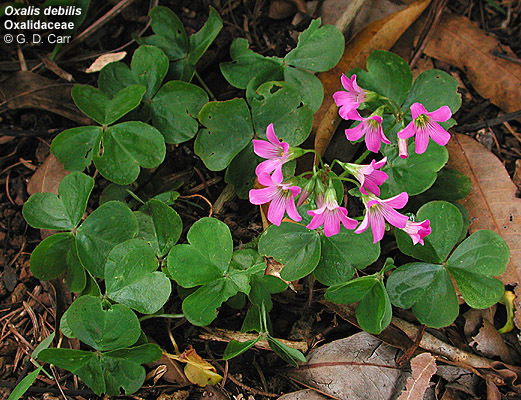 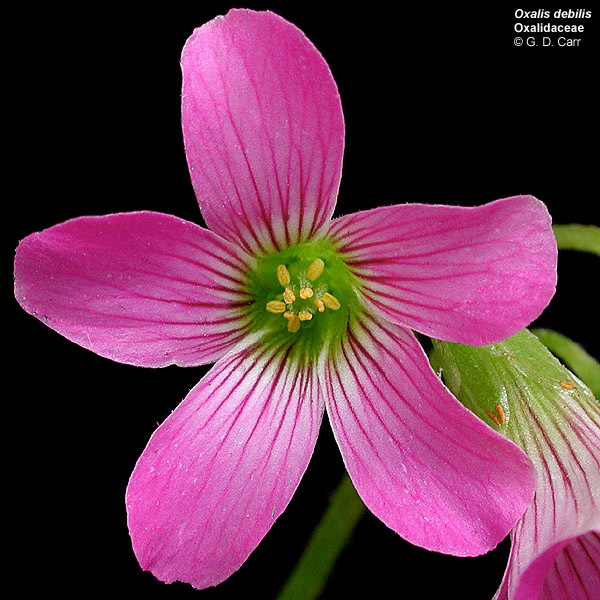 Oxalis debilis, pink wood sorrel. 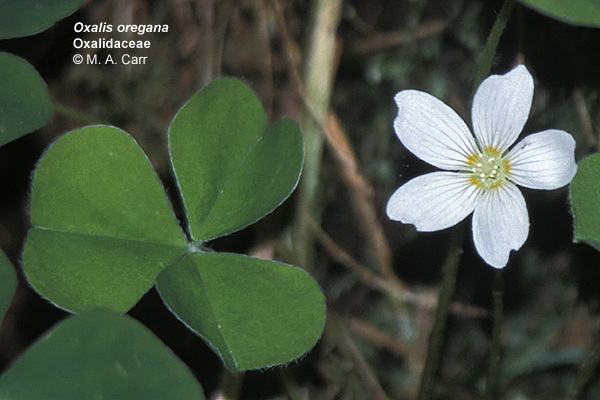 A five-merous perianth and obdiplostemonous androecium are apparent. 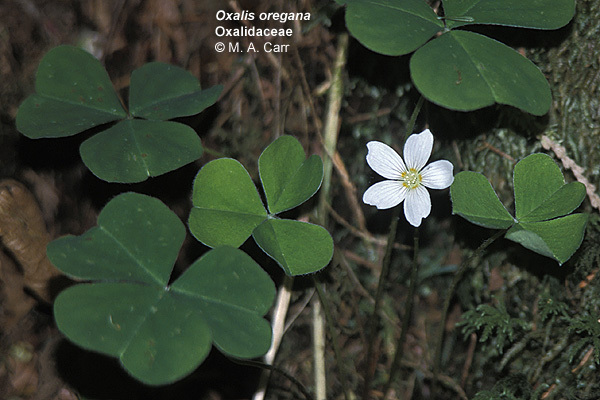 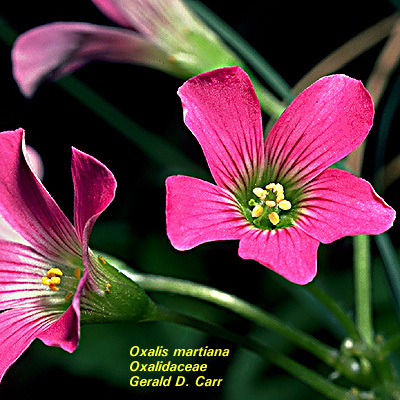 Oxalis spiralis. 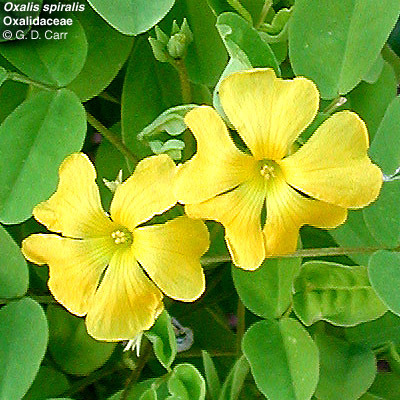 Although the small, yellow-flowered O. corniculata is a very widespread weed, O. spiralis is a rather attractive ornamental species.